Smoking bans reduce heart attacks by over a third. Not only do workplace smoking bans result in fewer cases of lung cancer and emphysema, they cause local heart attack rates to drop by more than one-third. A new study in Circulation: Journal of the American Heart Association found that community heart attack rates fall 15 percent the first year of a ban, with a 36 percent decrease after three years. This is good news for the U.S. Nearly half of the 50 states have passed smoking ban legislation, and new smoke-free laws are up for discussion in state legislatures and city halls across the country (such as the outdoor smoking ban recently proposed in New York City). Heart disease is a huge public health issue, and to see it so dramatically affected by a relatively simple policy change is—well, heartening. Some see even broader potential in these new findings. 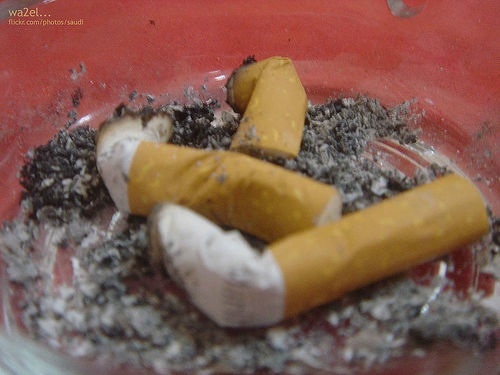 The anti-smoking organization Action on Smoking and Health, suggests that enacting more smoking bans would fund health care better than many existing proposals. They calculate that the decrease in heart attack admissions alone would save the healthcare system $3 billion a year. An alcohol enzyme that limits heart attack damage. Smoking gene: genetics may someday help smokers decide the best way to quit. Arresting conditions: differences in cardiac survival on nights and weekends. I am a life-long non-smoker, who has lost the four most precious people in my life. Cancer was the effect, a consequence, but not the cause. Yet, I will not help to propagandize health into dictatorial policy through anti-smoking. I do not wish to repeat the 1930’s, 1940’s. Do you? Exactly how can our government “create a healthier society for all” when they betray the smoker’s sense of trust, demoralize their self-confidence, disrupt their employer-employee relationships, upheave their family life, and undermind their efficacy by alienating them from their own human nature? This destructive mind/body dichotomy will subject smoker’s to long-term emotional and mental disorders, thus leading to serious physical ailments. In reality, our government is making them sick. A particularily foreboding feature of the mind/body dichotomy is the government’s suffocating negative influence while aggressively restricting young people from making their own decisions. Government aggression will severely jeopardize each young person’s struggle to form a necessary sense of self-confidence. This fragile process is usually a traumatic experience, especially when that negative influence is hidden under the misconception of government benevolence. In reality, our government lacks the knowledge of the trigger mechanism that sets off most cancers or most other major diseases to then become a critical danger for human beings. It is not smoking, nor second-hand smoke. Then why does government pathetically use smoker’s as their scapegoat, perhaps they require an example in order to intimidate other industries? Chicken Littleism is no longer a silly joke. It is now a snarling threat. Stamp out politicized environmentalism, not smokers. This letter, from a non-smoker, refers to all anti-smoking legislation. *An open letter that was emailed to all (103) Ontario, Canada political MPP’s in early May, 2008. No replies! This non-response reflects government without a sense of responsibility or a foundation for their actions! We must not look within ourselves. We may discover what we are becoming! Moral judgement is the mirror, mirror, on the wall image, always lurking in our mind, like an alter-conscience, prepared to reveal the frightening truth, in our soul, such as the undeserved vengefulness, at any cost, wielded against smokers. Even betrayal, of the next generation, becomes palatable within self-betrayal. By supporting anti-smoking, we endorse and promote Fascism, an historically proven scurvy upon humanity! The inevitable shame, of our past actions, can still be averted, by rescinding this government agenda! Science and politicized environmentalism are colliding worlds, science being the height of pursuing truth, politicized environmentalism the depth of distorting truth. Anti-smoking is part of politicized environmentalism and the attempted foundation of Fascism! Do we therefore side with Capitalism, science, Second World War troops and our allies– honour; or do we side with Fascism, politicized environmentalism, our enemies of the Second World War– disgrace? Thus far we blindly follow our enemies and disgrace! From the mouth of Paul Watson, co-founder of Greenpeace, “It doesn’t matter what is true; it only matters what people believe is true…..You are what the media define you to be. Greenpeace became a myth and a myth-generating machine.” We deserve truth, not half-truths and propaganda! For any high ranking government official that lack this critical knowledge, they are in their office under false pretenses. They are unprepared to govern. Their present course of anti-smoking legislations is the proof of that statement. ‘Rule by Consensus,’ (Rule by health care pressure group) is todays’ anti-ideology in government. Appeasement of these power-lusting, health care pressure groups is of higher priority than our children and all other tax payers, voters, and citizens. The permeating emotion from ‘Rule by Consensus’ is demoralizing, debilitating fear instead of an optimistic view of the future. Note this recent example, Ontario Premier Dalton McGuinty said he wouldn’t entertain a ban (smoking in cars with children) because it amounts to “too much intrusion into people’s private lives.” The logical interpretation of this statement is that the entire anti-smoking movement eliminates smoker’s individual rights, and has always been an intrusion into a smoker’s family dynamic. Now, the Ontario government is prepared, in predictable flip-flop fashion, to enact such a ban. In ignobility, many people have misaligned themself with politicized environmentalism, despite the fact that 1930’s, 1940’s, Germany used “politicized ecology and public health” to base its rationalizations. Are we predisposed to mistakenly mirror the historic footsteps of self-loathing mass destruction? No! Everyone has an individual mind and conscience, above party politics. Be true to them, follow your courage (truth) and dethrone your fear (fallacy). Rescind this government’s shameful anti-smoking agenda. *An open letter that was emailed to all (103) Ontario MPP’s in early May, 2008. No replies! This non-response reflects government without a sense of responsibility or a foundation for their actions! To believe that smoking is ‘human nature’ is idiocy. So smokers have got some particular gene for smoking? And if during the course of the smoker’s personal history, she hadn’t taken up smoking in the first place, she would have denied her ‘human nature’? Are you some spokesperson of the tobacco lobby? Or somebody who enjoys making doomsday prophecies? Maybe you are one of those who thinks Obama is Nazi, right? THERE ARE OFTEN CONFLICTS BETWEEN OPPOSING RIGHTS. For example, what would you say to smokers, who have children, smoking in their own private homes? Now that isn’t forbidden by law. And yet, one cannot help wonder how to balance the parent’s right to smoke with the child’s right to avoid second-hand smoke? Of-course, the child may not always complain and may even take to early smoking. Now, if nobody is complaining, there is no argument from rights, no question of conflict of rights. But then, the child’s health could surely have been far better in a healthier environment and it didn’t exactly get to choose – you see the point, don’t you? We have to choose the right balance between opposing rights of different people keeping the larger picture in perspective – by trying to identify which things are gratuitous and which absolutely important (good health, for example).